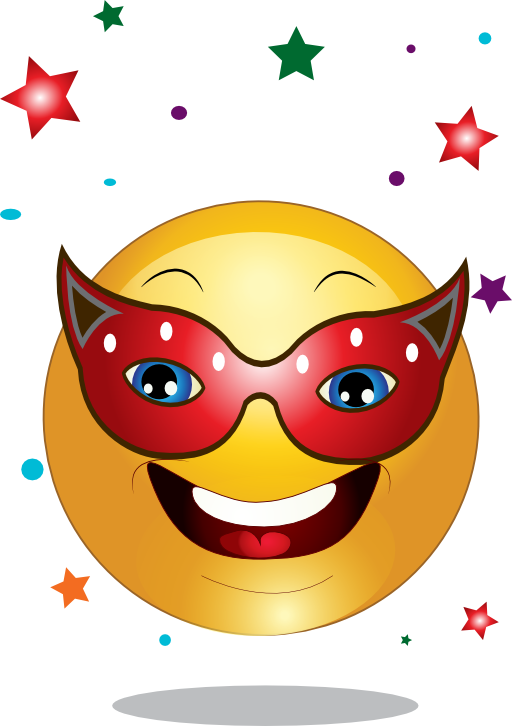 This smiley is all decked out for a masquerade. 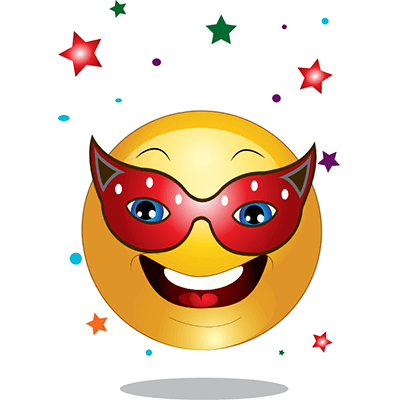 Bright and attention-getting, this image will definitely make a splash when you post it on your timeline. 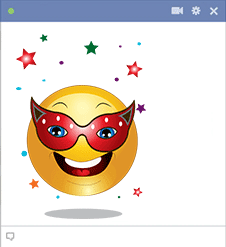 Our emoticons can be shared anywhere on Facebook. Just choose your favorites and post them when you feel like updating your status.